Luxury vinyl flooring may make you think of the 50s or 60s kitchens with faux-looking tiles. However, that’s not the case anymore. With so many different options on the market for luxury vinyl flooring, you’ll be able to create a beautiful and authentic look in your home. This type of flooring is becoming more and more popular because it’s such an affordable option. 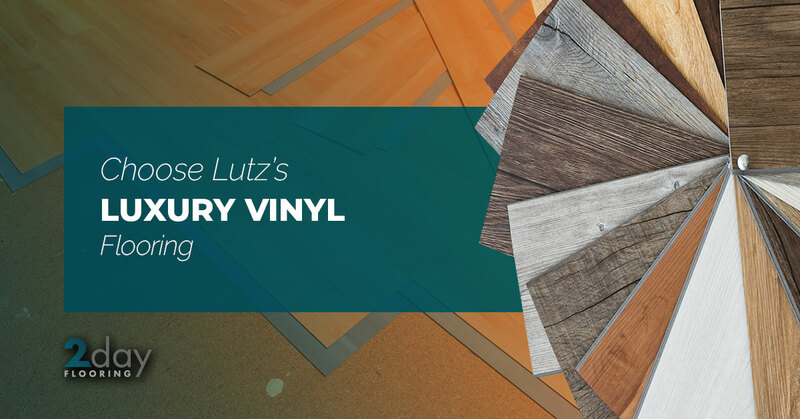 If your Lutz, FL, home needs a makeover, then try luxury vinyl flooring and learning from our Top Rated Local® Flooring Service what this option can add to your home. Contact 2 Day Flooring for more information on luxury vinyl flooring. Luxury vinyl flooring is one of the best options for many homes because it’s so affordable and it’s moisture resistant. Due to its durability, dent and stain resistance, luxury vinyl flooring can be put in the most high traffic areas of your home. Luxury vinyl flooring looks great in hallways, kitchens, dining rooms, bedrooms, and even living rooms. If you’re looking to install luxury vinyl flooring in your home, then you can also take advantage of a variety of different options. You can decide from a variety of colors, styles, and patterns. Each option for luxury vinyl flooring is authentic and resembles tiles or wood. What makes this type of flooring such a great choice is because of how it’s easy to install and even simpler to love. If you’re looking for a great option to transform your home, then luxury vinyl flooring can be a perfect option. 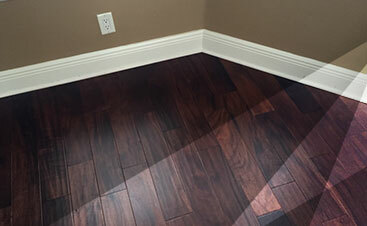 Luxury vinyl flooring will provide you with exceptional results. While we think it’s one of the best options for homes, many people might be a bit hesitant if they aren’t sure it’s high quality. However, this authentic option is a top-notch choice for just half of the price. It’s a great choice for any home no matter how large or small the area is where you want the new flooring option. Luxury vinyl continues to wow our customers and exceed their expectations due to the durability, variety of options, and the damage resistance that it offers. 2 Day Flooring is happy to serve those around the Lutz area. Whether you want to just pick out luxury vinyl that would look great in your home or you want someone to install the entire flooring, 2 Day Flooring is the Top Rated Local® Flooring Service to help. 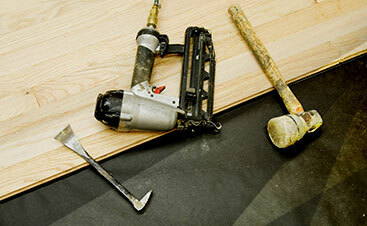 We’re a reliable flooring installation that can deal with an array of different sized projects. If you have a smaller project, we can help and the same goes for a larger one. With our superior level of service, you won’t be disappointed in our work. We strive to meet your needs when we work with you because our goal is to help you achieve your dream home. If you’re interested in purchasing or having an installation completed for luxury vinyl flooring, then we recommend reaching out today to have your needs met.